Psychiatrist and neuroscientist Dr. Gary Small says that despite the belief that personality is fixed after childhood, new findings indicate the opposite – that people have the power to change their personalities at any age. Dr. Gary Small: I was shown an article that was written late last year where, for the first time, research psychologists looked at personality traits as outcome measures in intervention studies. And guess what? Their conclusion was completely against what I had learned when I studied psychiatry, what psychologists had learned, that your personality is pretty much set during childhood. I mean, it does change to some extent with age. As we get older, we have a little more perspective. We're a little less anxious. There's a sense of having been there and done that. And with in-depth psychoanalysis, there can be some change, but it can take years and years. But this study showed that we could change our personalities in a meaningful way, improve our lives, and it could be done relatively quickly, within 30 days, through psychotherapy, through self-help, or through both types of strategies. Larry King: What's the definition of personality? Dr. Gary Small: Personality is a constellation of our characteristic traits. 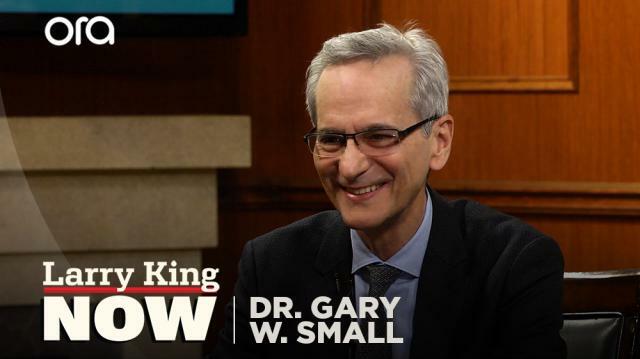 Dr. Gary Small: Arrogant, calm. And it's really based on our thoughts, feelings, and behaviors. How we think and how we feel drives our behavior, which portrays who we are to the world. Larry King: The general thought was if you look at someone when they're five, that'll tell you a lot about when they're 25. Dr. Gary Small: And it does. I mean, the science shows that. And in fact, those of us who have more than one child know very much that their personalities are quite different, even though we treat them similarly. And certainly, genetics is important in determining personality. But on average, with each of the different personality domains, genetics only contributes about 50% of what determines who that person is. Larry King:You're saying that personalities can change. What shifted the wisdom? What was discovered? Dr. Gary Small: Well, what these research psychologists did, and they're at the University of Illinois, was to do what's called a meta-analysis, and what this is is to look at lots of studies together that actually looked at personality traits as outcome measures of psychotherapy interventions, of self-help interventions, or both. And they found about 200-plus studies, included 20,000 or more volunteers, so this is a pretty extensive analysis, and they looked at the effects of these different interventions on these personality traits. And they look at five major domains: extraversion, emotional stability, openness, agreeableness, and conscientiousness. And the found that of all the descriptors of personality, we can come up with lots of them, that they all fall into these five major areas. So, when they looked at those outcomes and they plotted the effect of the intervention versus time, you can see the graph, it's quite startling. You see that people get better and better and it plateaus after 30 days and the effect is sustained, even after the treatment is finished. So, you don't have to go through years and years of psychoanalysis to uncover all those deep dark secrets.